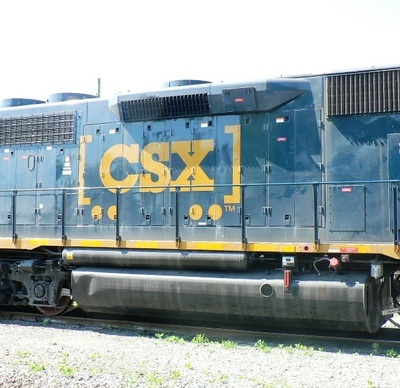 The rebuild program is based out of the Huntington, WV shops and initially, these units were restricted to running on the Huntington Division. 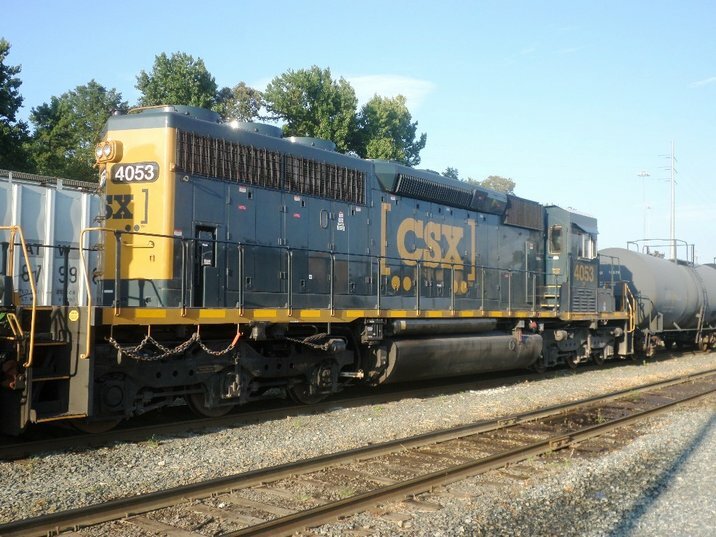 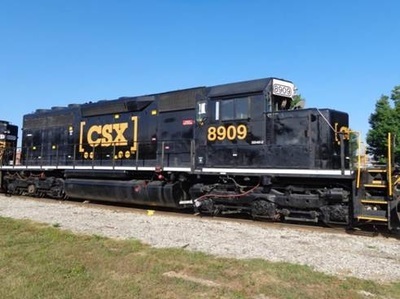 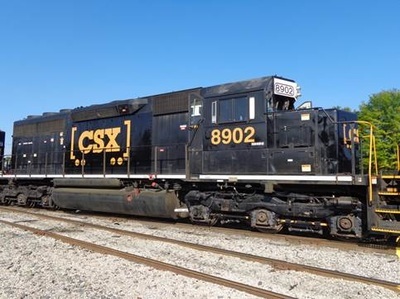 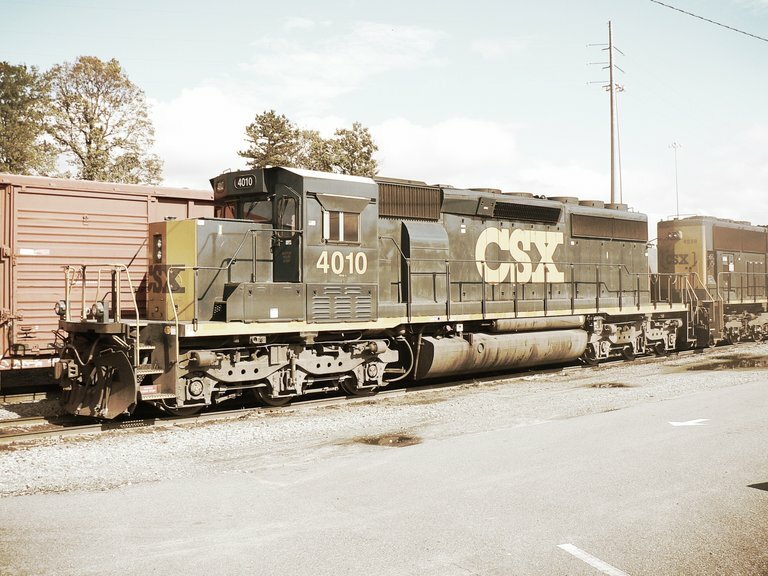 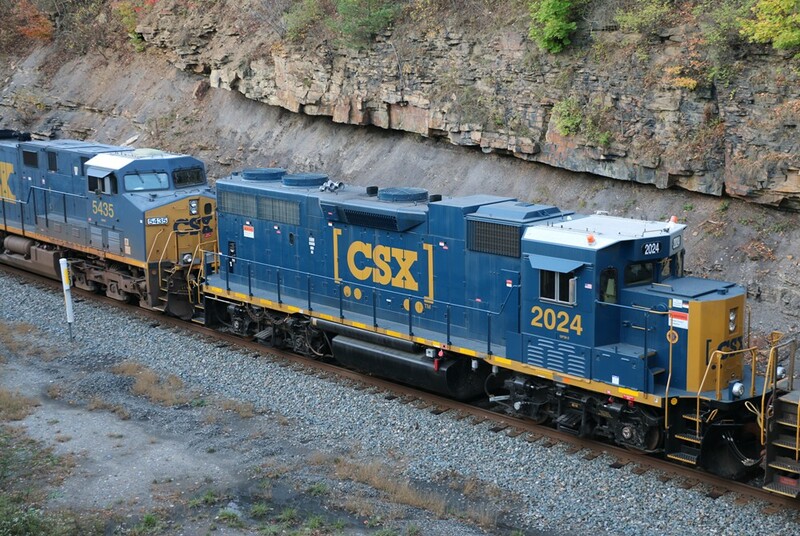 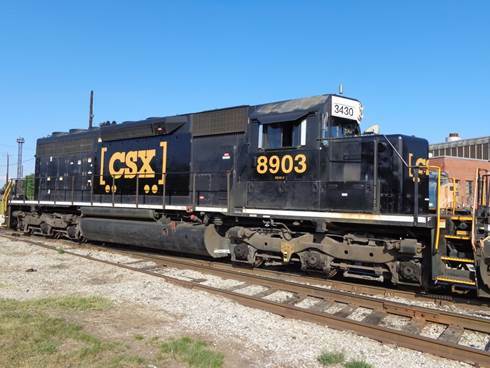 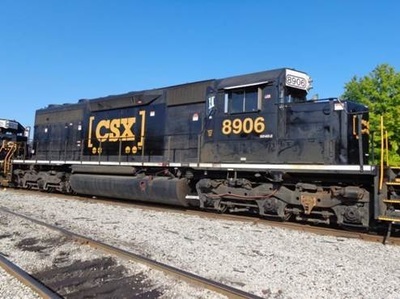 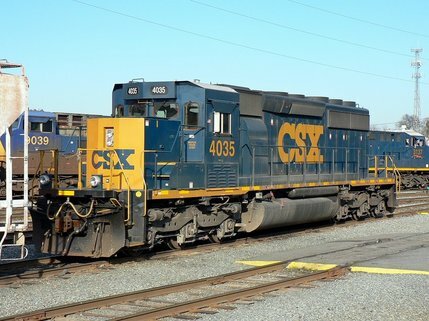 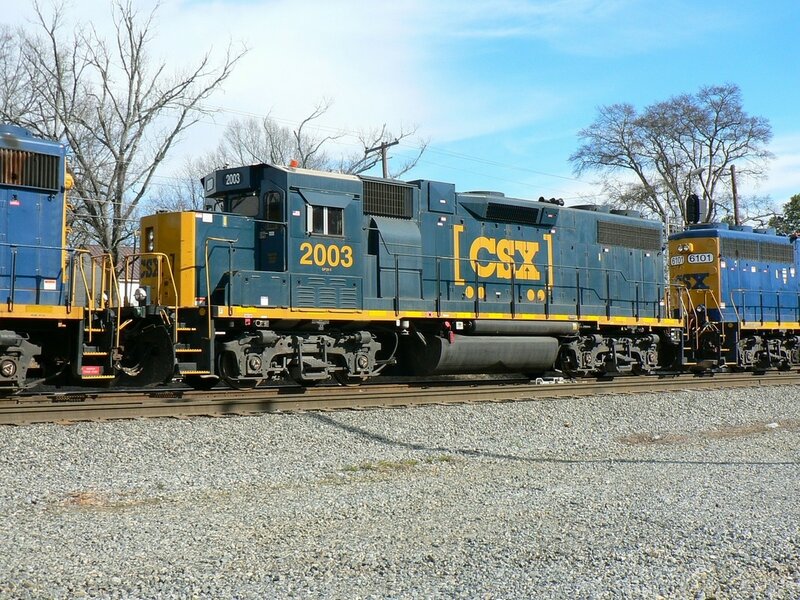 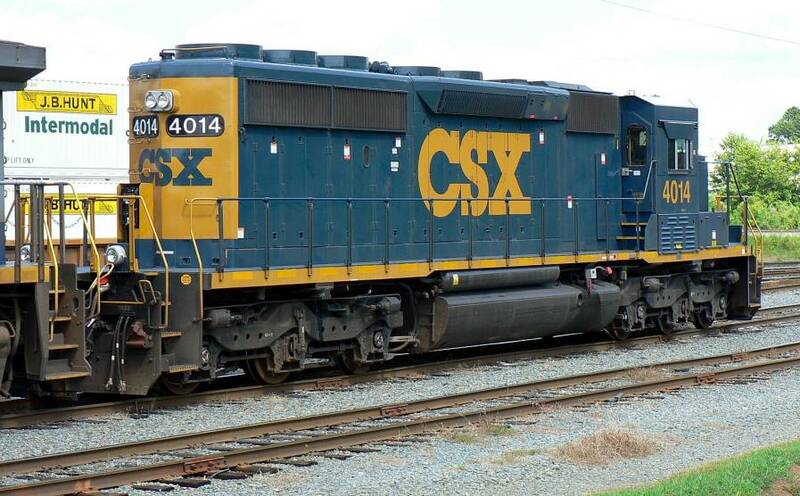 Since the program was initiated in early 2011 and of this writing, the shops have churned out twenty-eight units with the number series 4000-4027 and they are freely roaming the CSX network now. 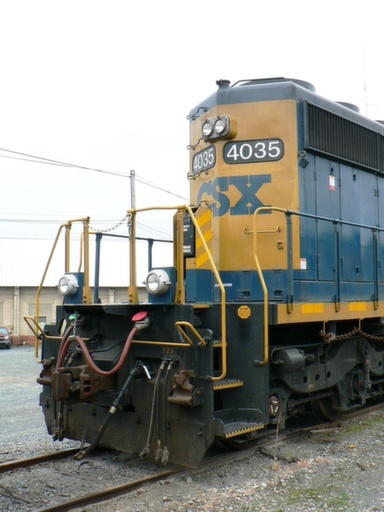 The projected goal is for a total of 300 units. 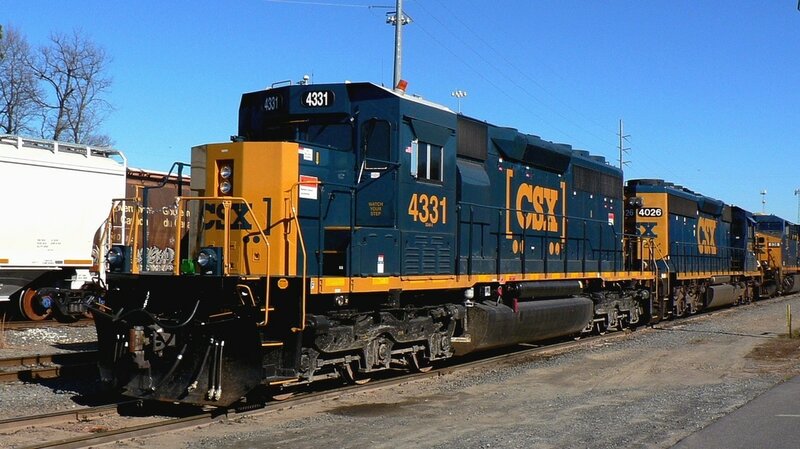 On the topic of performance, notable is that the improvements will yield rejuvenated 3,000-horsepower, six-axle locomotives for the fleet. The tractive power will increase from 86,000 to about 130,000 pounds, making it capable of doing the work of more modern, high-horsepower units in all types of freight service including intermodal and coal. 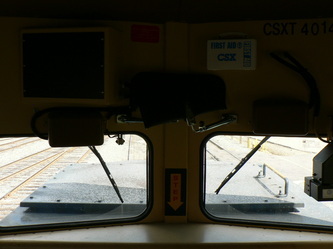 Visually speaking, most apparent is the new “safety” cab that radically alters the appearance compared to the Spartan cab design used on EMD hood units since the introduction of the GP35/SD35 series of the mid 1960s. 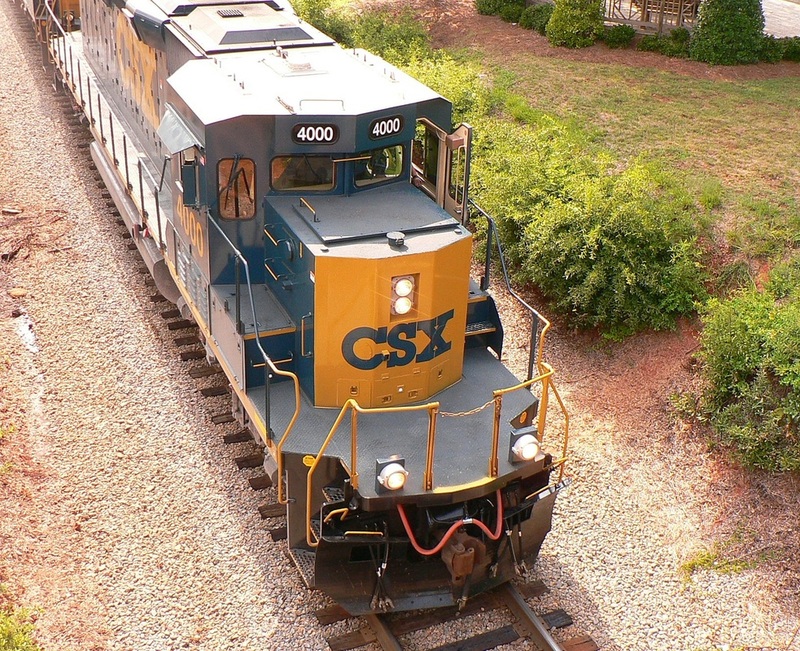 In railfanning circles, this design has divided opinions. 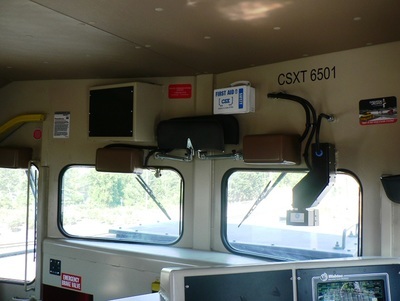 Some refer to the new look as “ugly” while others find it “innovative” and “acceptable”. 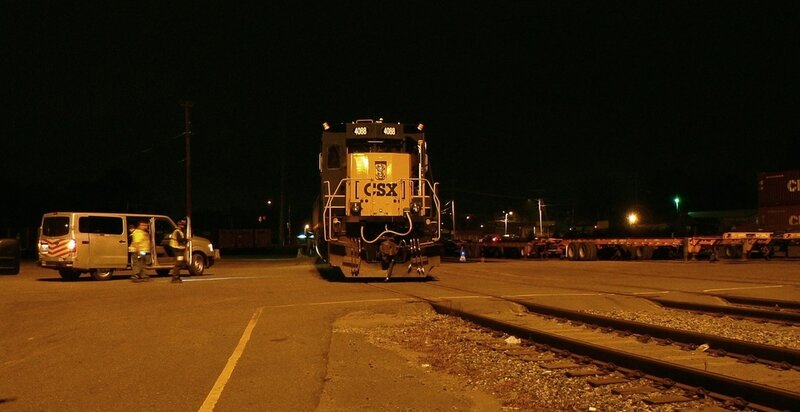 There is definitely no debating that it is different. 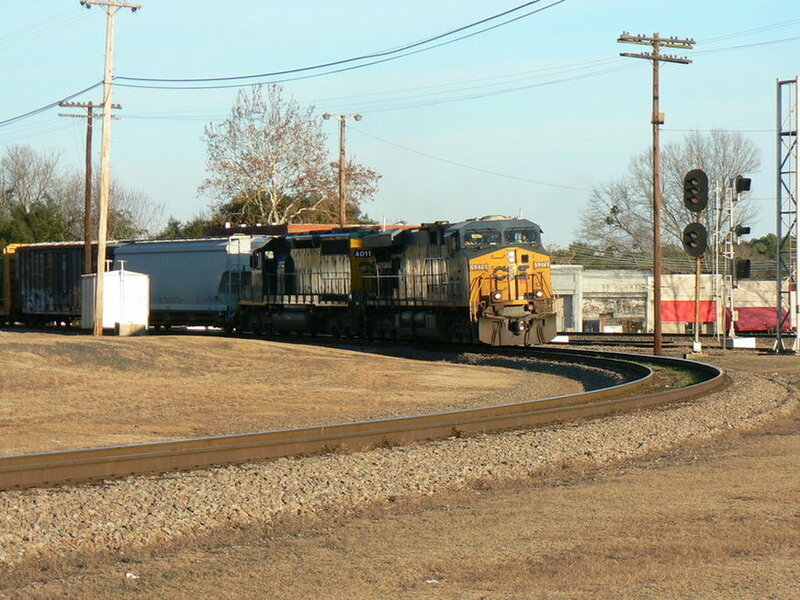 From a personal standpoint and having seen several of them now, I’ve taken a liking to them. I look at it as being a "21st century SD40-2" that will ensure that it continues on if not only in spirit for many years to come. 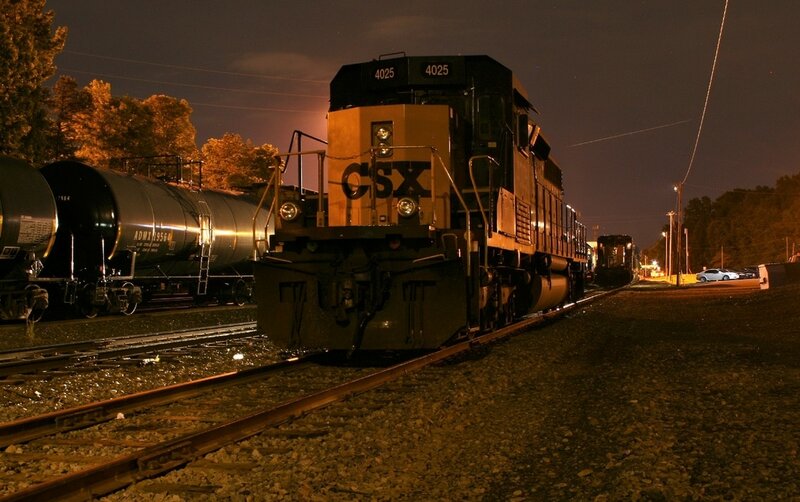 Hopefully, that spirit of reliability will carry on as well. 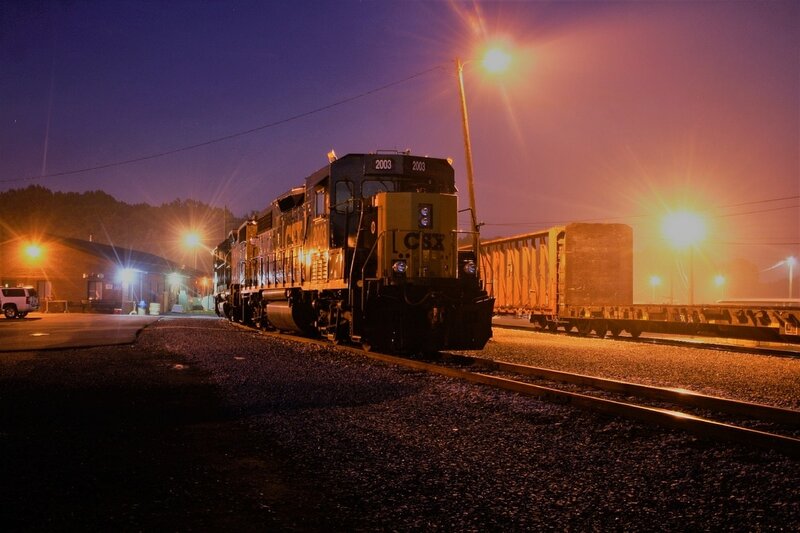 It is early morning on Veterans Day 2011 as SD40-3 #4006 awaits the drop of the blue flag for departure to Monroe and Hamlet with F768. 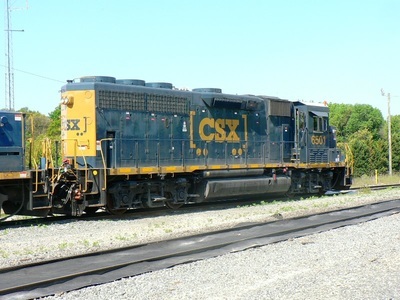 This train became Q468 effective September 2012. Dan Robie 2011. 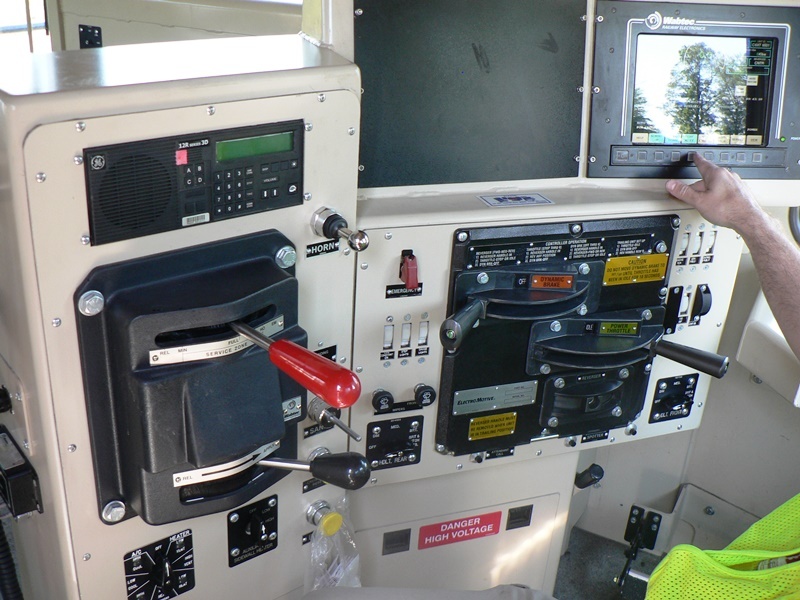 I have had the opportunity to speak with engineers who have run these rebuilds. 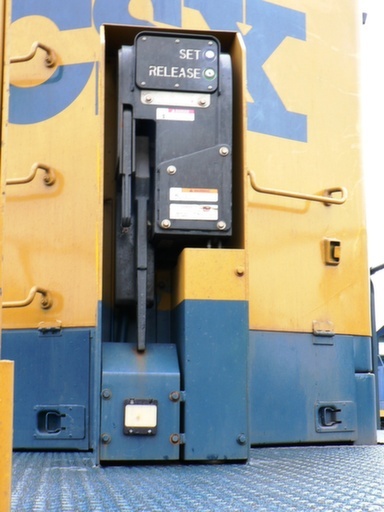 Their comments have been favorable thus far about the performance despite the initial bugs the first units had. 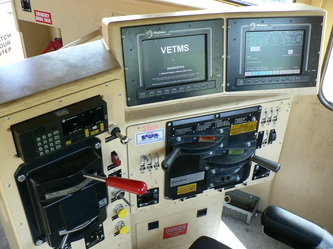 Apparently, those early operational glitches were corrected. 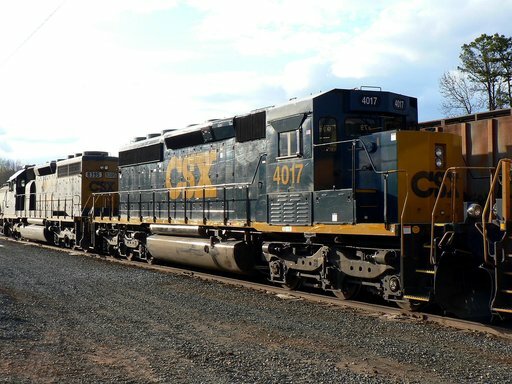 Time will tell and dictate the track record and eventual reputation these models will earn. 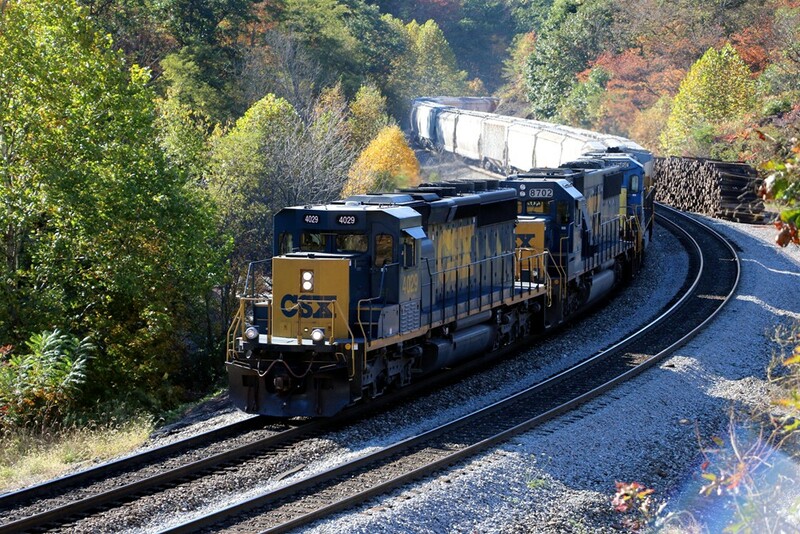 SD40-3 #4029, SD60 #8702, and another unit descend Sand Patch Grade in Pennsylvania with a manifest train in autumn 2015. 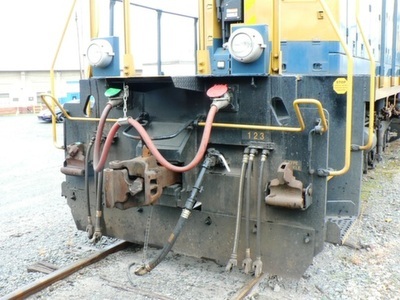 Image courtesy Sholto Thomas. 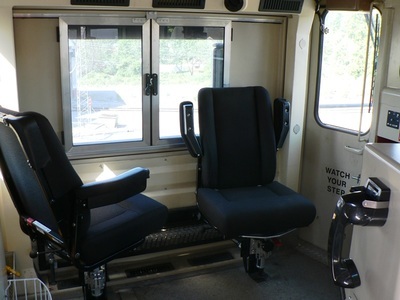 Late 2012- A number of units taken out of service for engineer seat modifications. 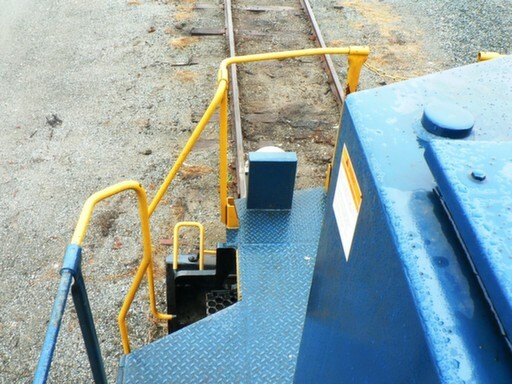 Eventually, all will be repaired as they are rotated for servicing. 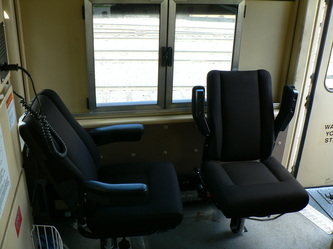 New SD40-3s will feature the corrected seats. 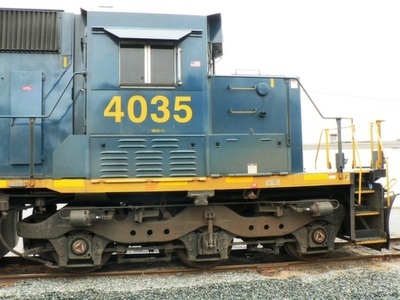 As of January 2013, the number series on the SD40-3 is 4000-4049, a total of 50 units. 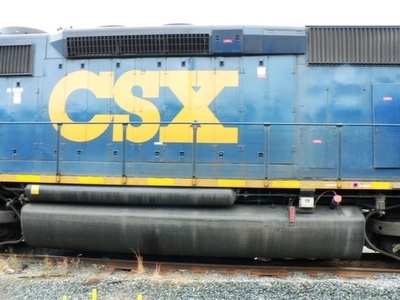 A few of them have the new CSX "boxcar" logo added. March 2013-Heard reports that the SD40-3 program would be discontinued for 2013 although no official confirmation about this. 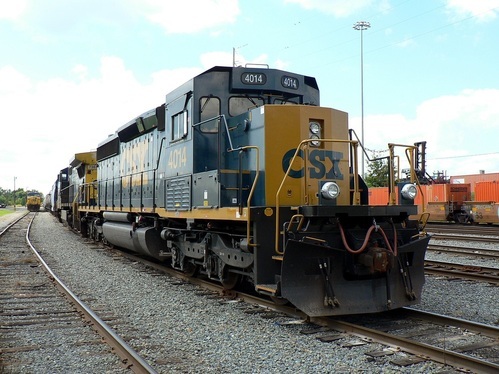 April 2013--Although the company announced that the projection was to increase tractive effort to a maximum of 130,000 lbs, to date all units are currently listed at about 82,000. 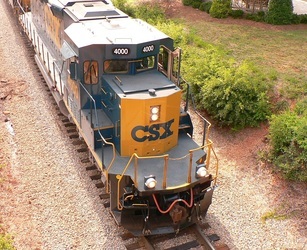 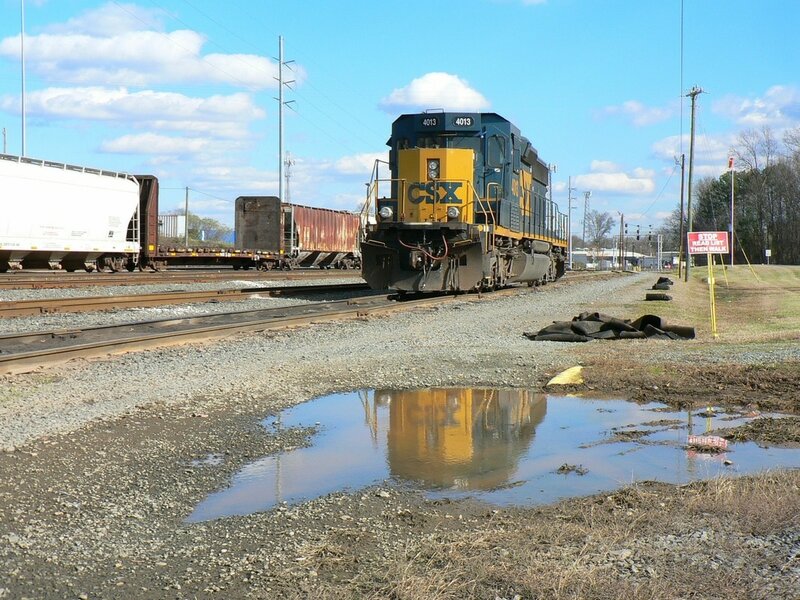 June 2013: An official at the Huntington Shops confirmed that the SD40-3 rebuilds will resume once Jacksonville reallocates funding for the program. 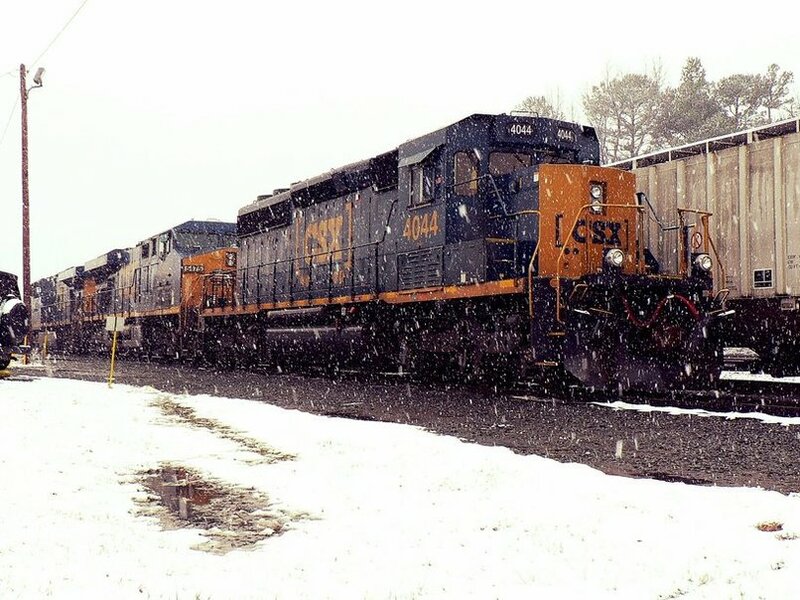 No specific date for resumption at this time. 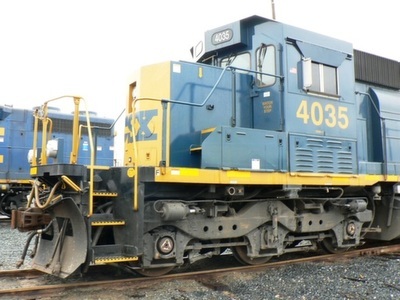 October 2013: SD40-3 rebuilds tentatively scheduled to resume in 2015. 2014 will see a similar rebuild program commence for four axle units presumably the GP40-2s. 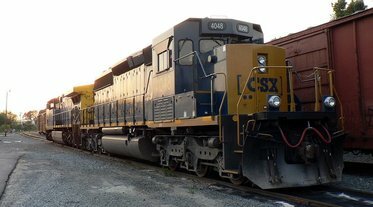 Other units such as GP15s, GP38-2s, and GP39s not mentioned although that does not necessarily rule any out that are or become candidates. These rebuilds will utilize the safety cab used on the SD40-3. November 2013: A prototype GP38-3 and GP40-3 are in the works to be constructed possibly by the end of 2013. 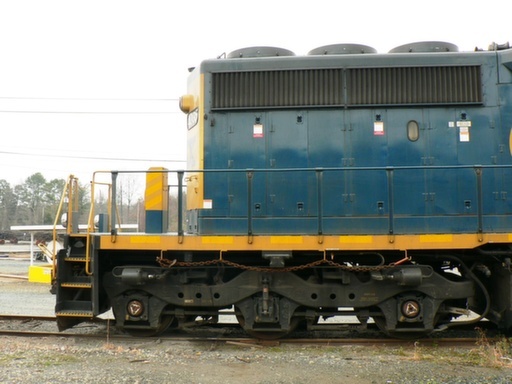 The initial plan---always subject to change--is for 22 GP38-3s to be built during 2014. 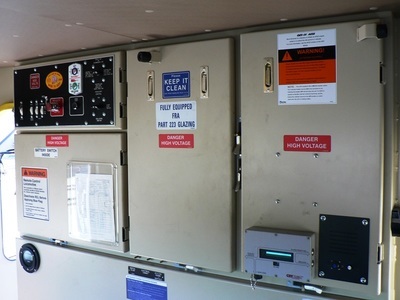 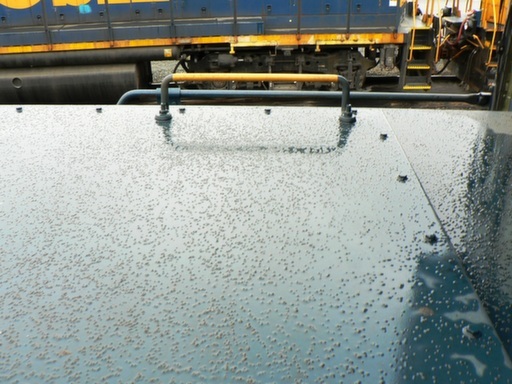 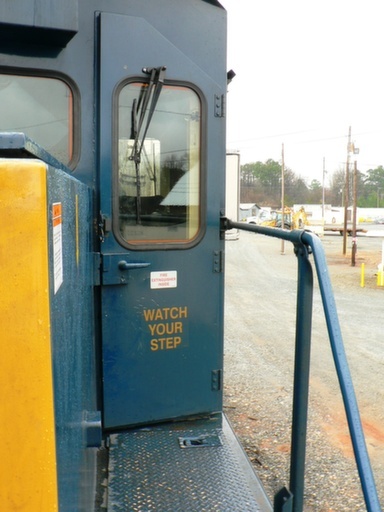 All will incorporate the "safety cab" used on the SD40-3. 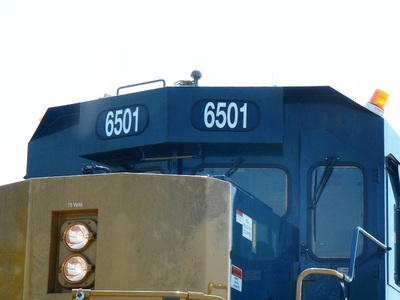 Fall 2015: Modifications have been made to the roster numbering sequence. Several of the former Conrail SD40-2s (8800 series) are being renumbered as #4200 series SD40-3s. The 8900 series acquired from NS will fall into the # 4300 series group. As SD40-2s continue through the SD40-3 conversions, they will fall into the new series according to heritage and variations. 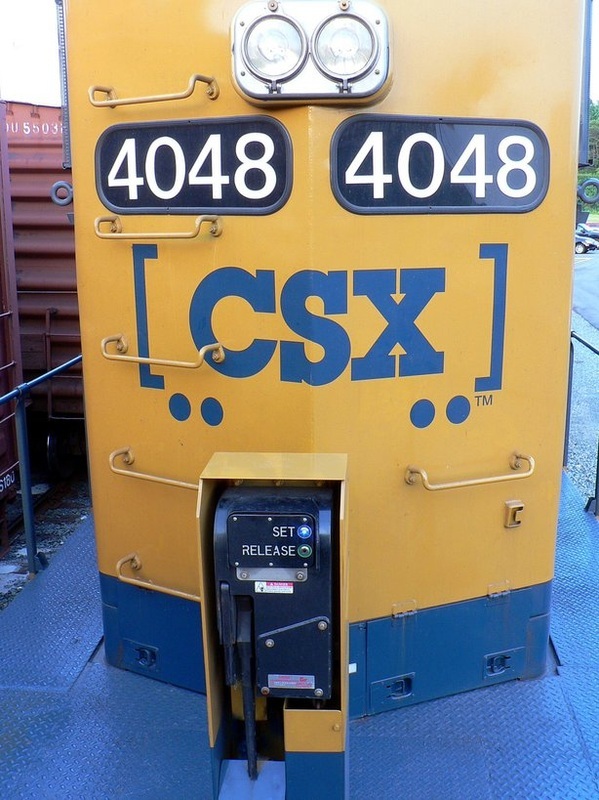 April 2016: Roster updates: SD40-3 (4000-4086) (4225-4235) (4372-4390). 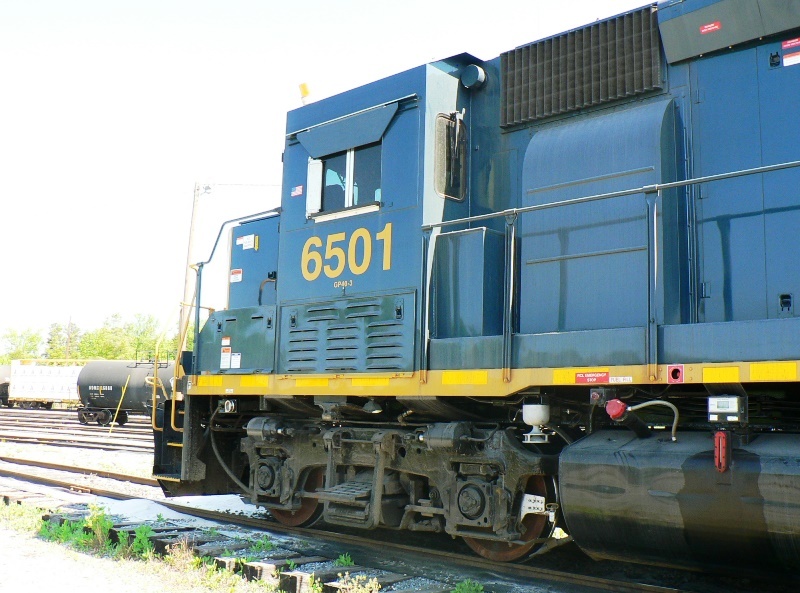 A number of these locomotives are in various states of disposition--in service, still in Idaho, stored, or shopped. 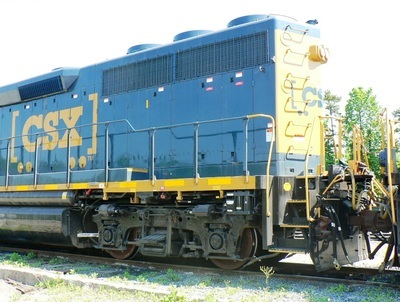 To my knowledge, no manufacturers have yet released this model in either ready to run or brass. 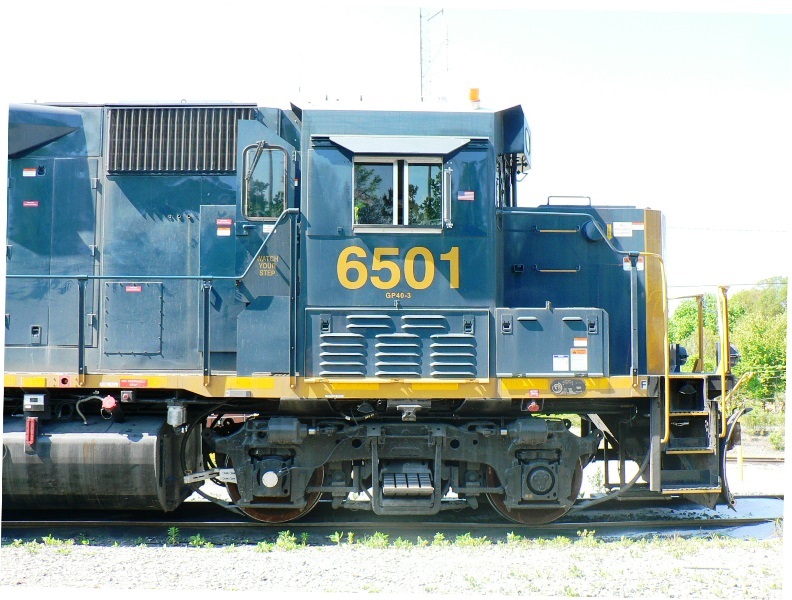 At some point, I hope to acquire a spec dimension sheet for this locomotive---and it may be applicable to the GP38-3 and GP40-3 cabs as well---for any prospective modelers interested in scratchbuilding or kitbashing one. It may also help those who are involved with simulators and skins. 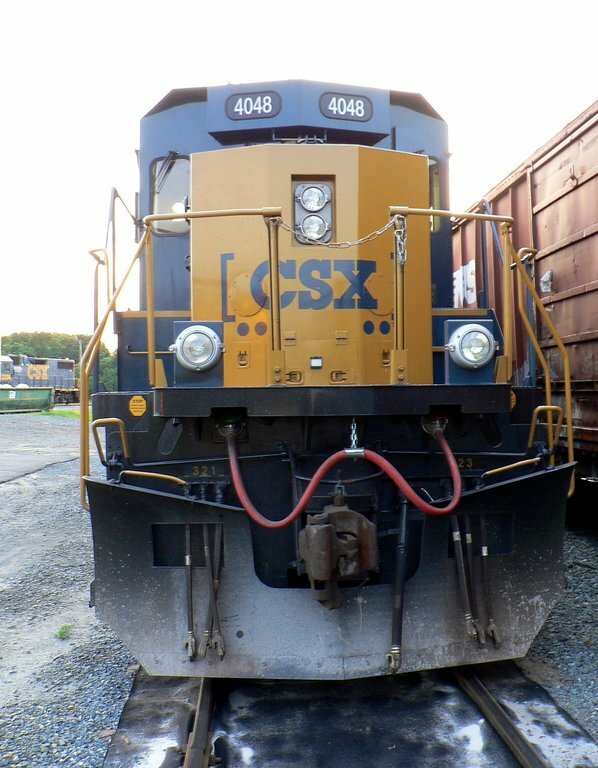 Below is a gallery of----for lack of a better word---snippets--of the SD40-3 that may be of interest and could possibly aid in making the model whether it be real or simulated. Below are random images from the "west end" of the SD40-3 rebuild program taken in Idaho during 2015. 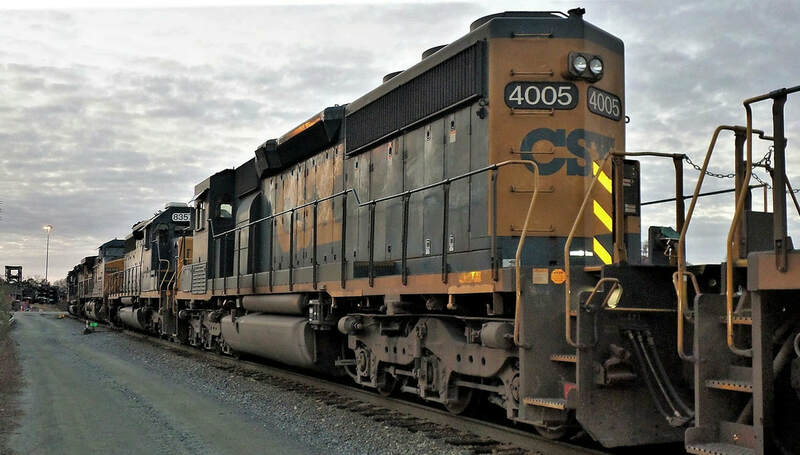 These images are from Pocatello which offers the vantage point of SD40-2s that have moved west from Huntington, WV across the country. 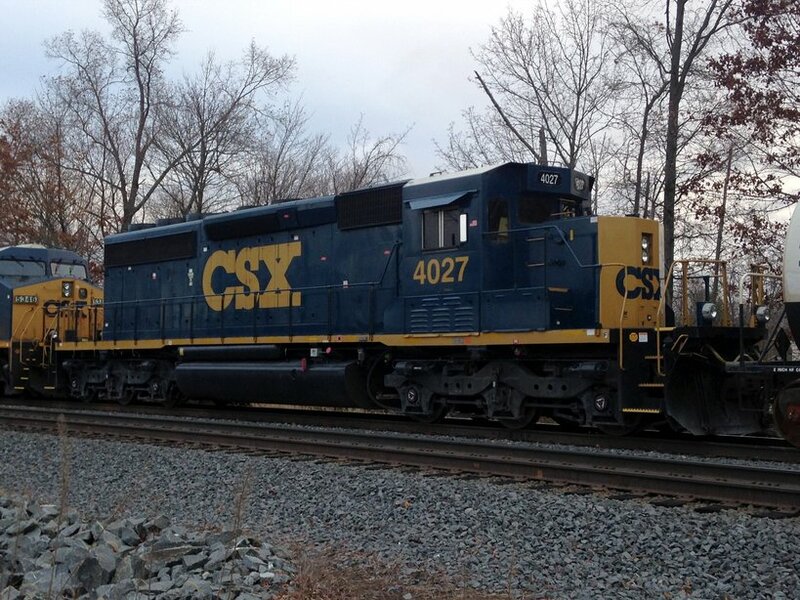 The inverse is also possible with the passing of the metamorphosis of SD40-3s returning east to CSX rails. 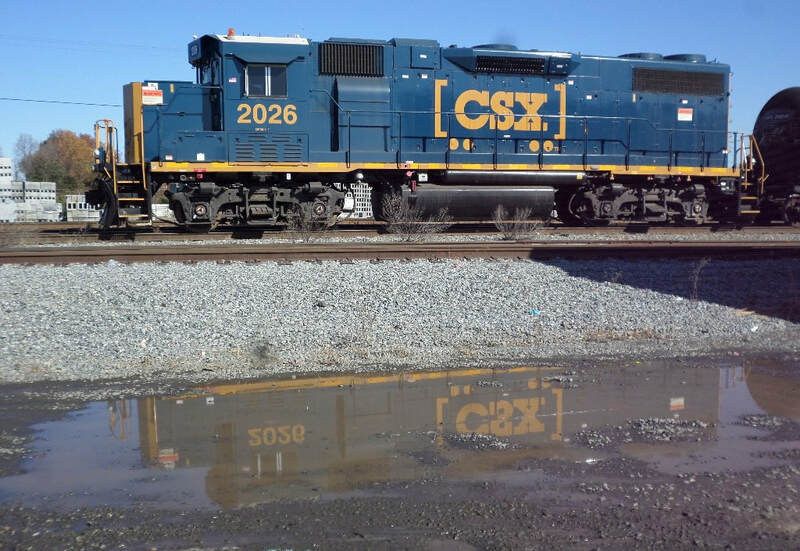 My gratitude to Ed Banks for contributing these images to share on this page. 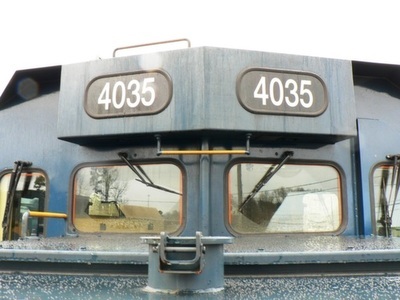 For the 74th annual CSX Santa Train that operated between Shelbiana, KY and Kingsport, TN, SD40-3 #4384 was selected as the lead locomotive for the 2016 charity run. While in Shelby Yard prior to the departure, a sticker bearing the Clinchfield Railroad logo was applied to the nose to complement two other logos applied to each side of the cab. 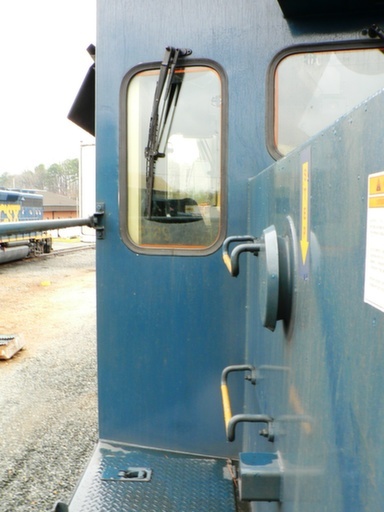 The nose decal was a group effort of Clinchfield employees that wished to add a personal and nostalgic touch to the locomotive. 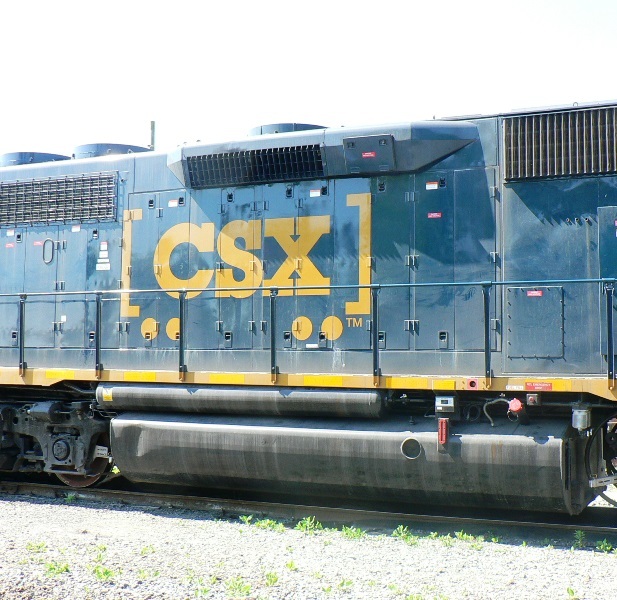 This, in effect, created the first CSX "heritage" unit---or semi-heritage one is tempted to say--- in the fleet. Unfortunately, since the application is not painted, this rendering will be temporary at best by either wear or removal. 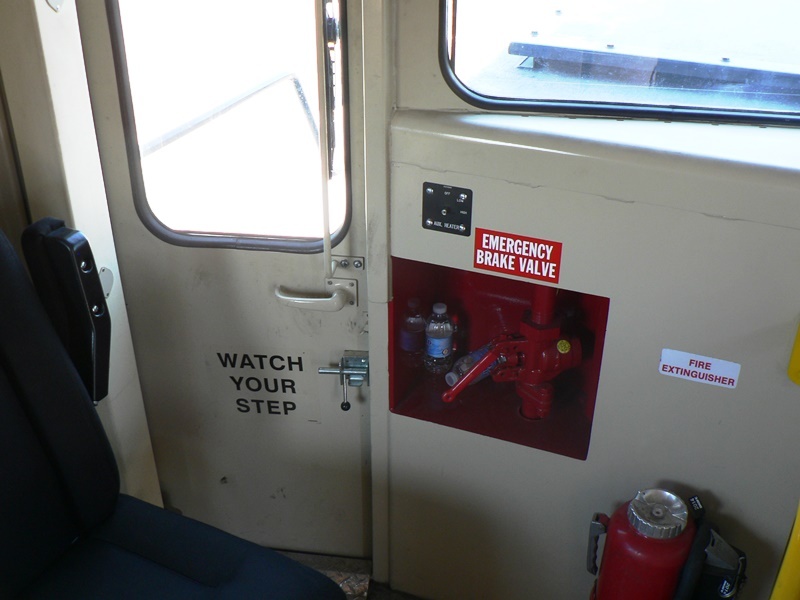 A nice touch no matter how long it may last. 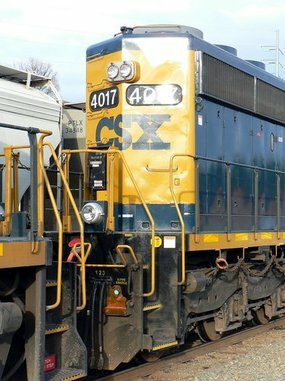 As of this entry (March 2017), there have been no additions to the SD40-3 fleet since the spring of 2016 as the program was suspended. 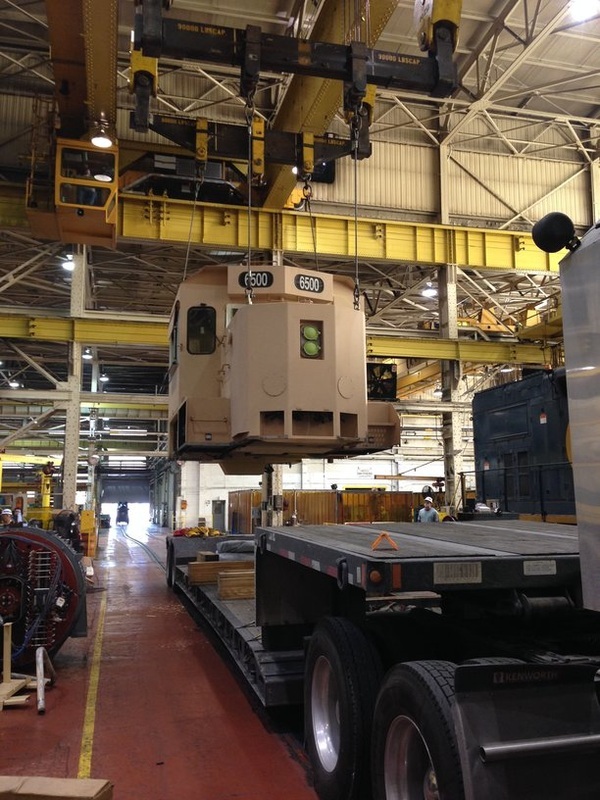 Huntington has continued with the four axle rebuilds, however. 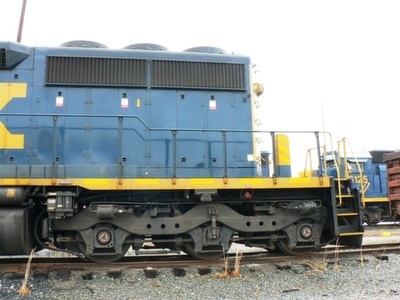 Another rebuild program commenced using the SD40-2s for conversion to SD33ECO models of which thirteen (13) were initially planned (roster numbers #1700-1712). 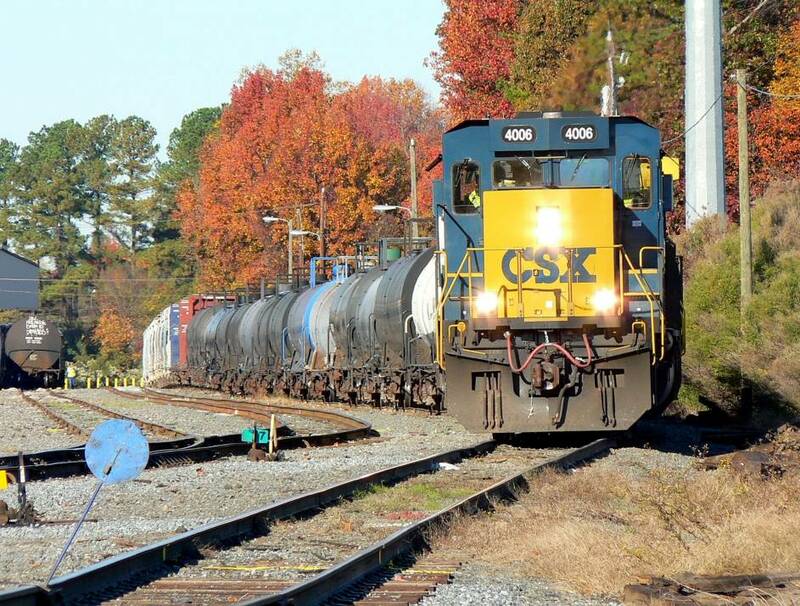 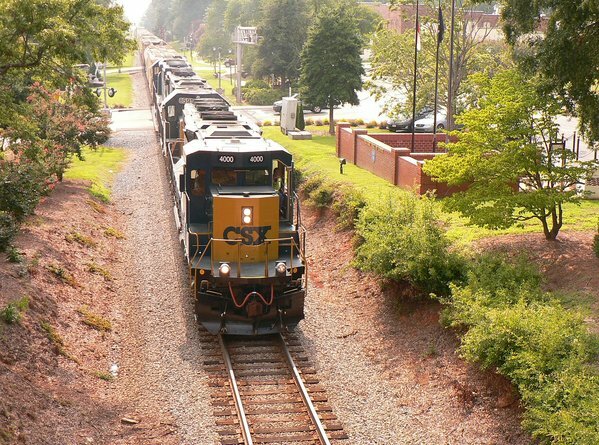 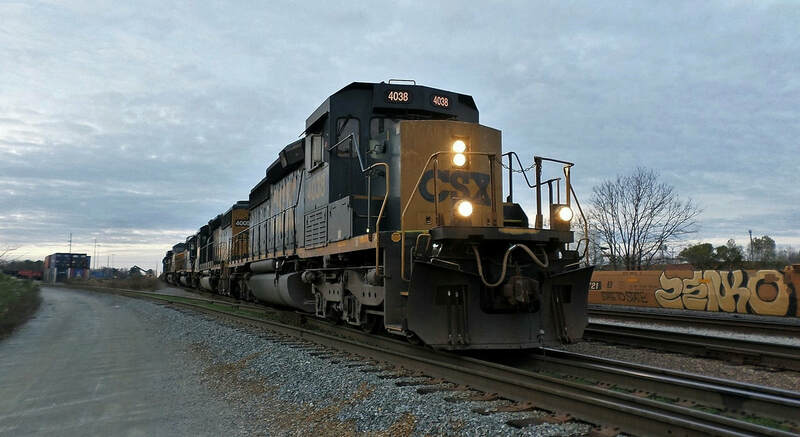 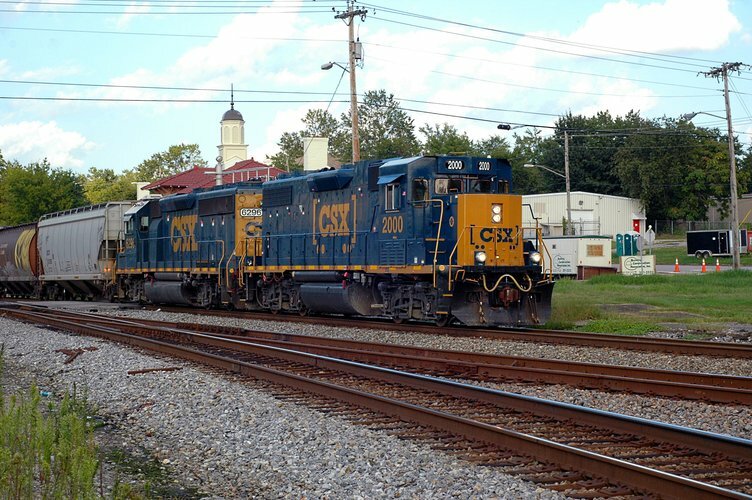 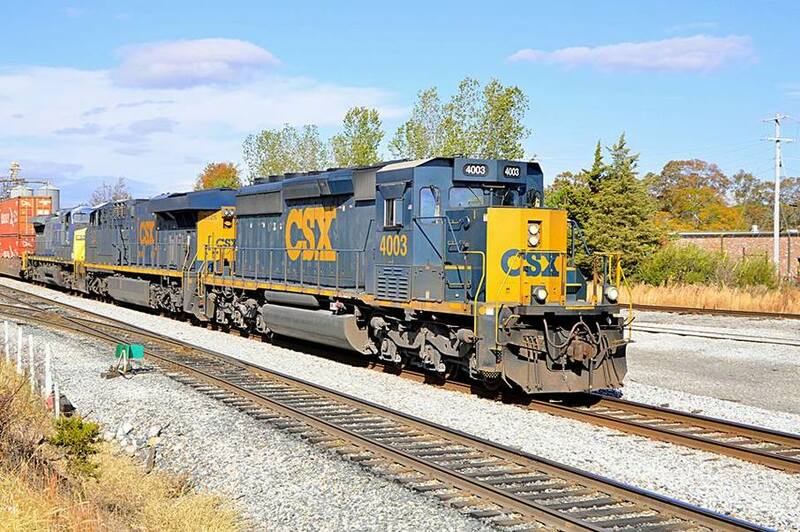 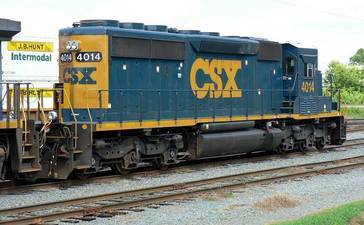 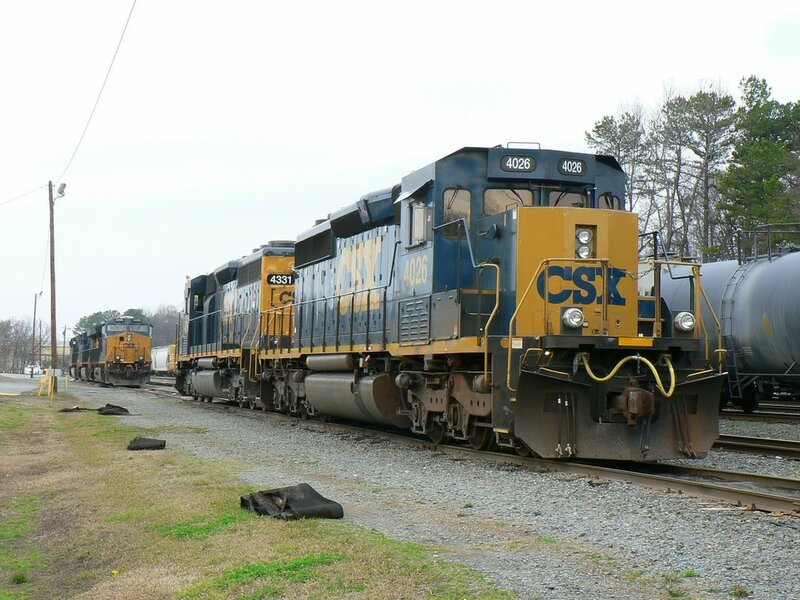 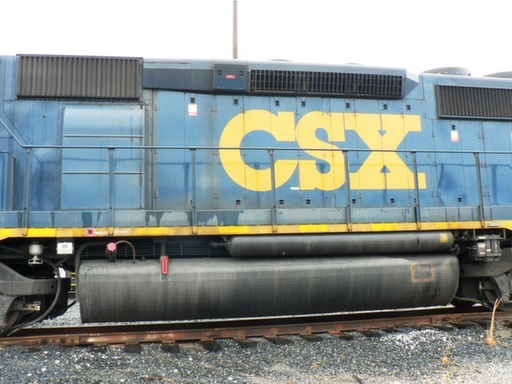 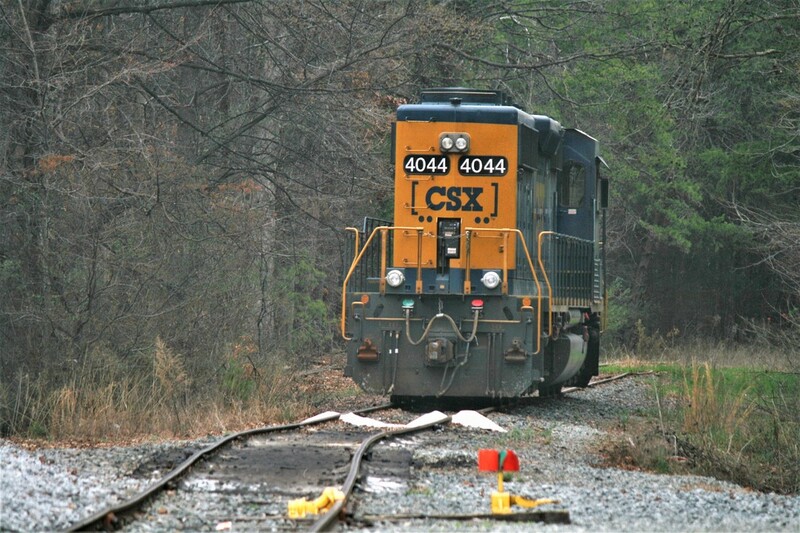 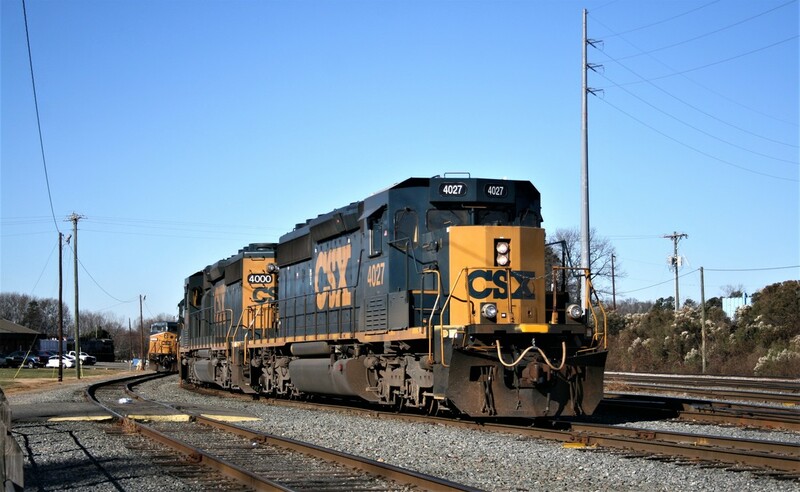 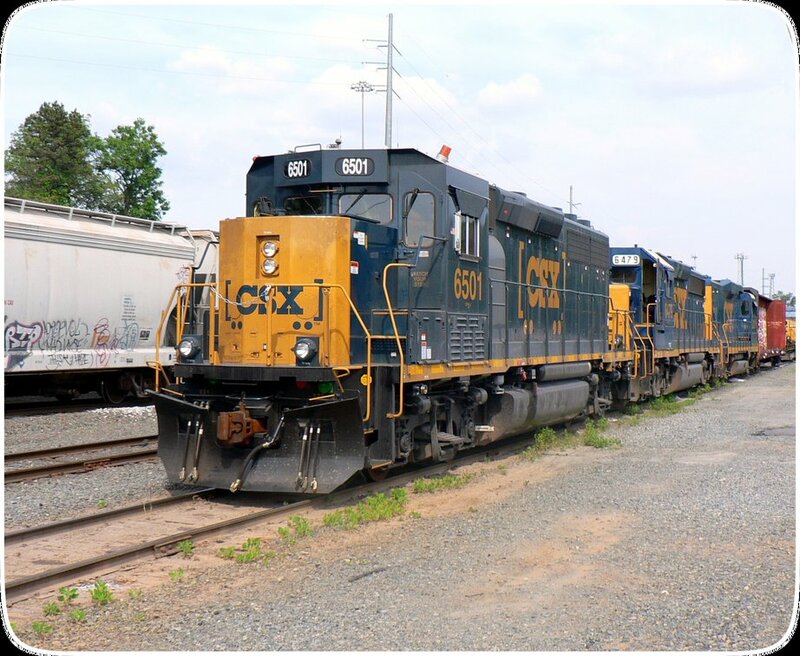 Now that CSX is in a state of executive transition with reductions certain to follow, the continuance and/or pace of the rebuild programs remains to be seen. 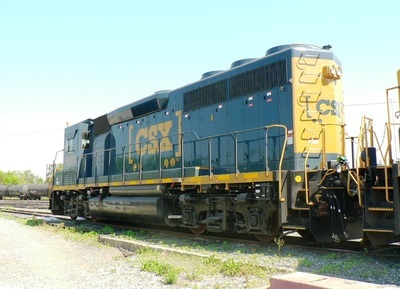 Due largely to the upturn in business, CSXT has found itself with a power shortage and four axle units have been no exception. 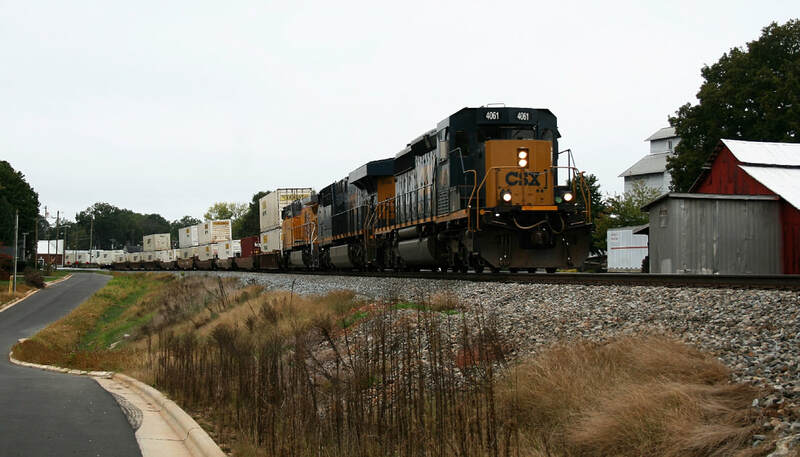 On one hand, it is a good problem to have---the booming traffic growth---but with the shortage of power it has been challenging to keep the freight moving whether it be on the mainline or from the yard to shipper. 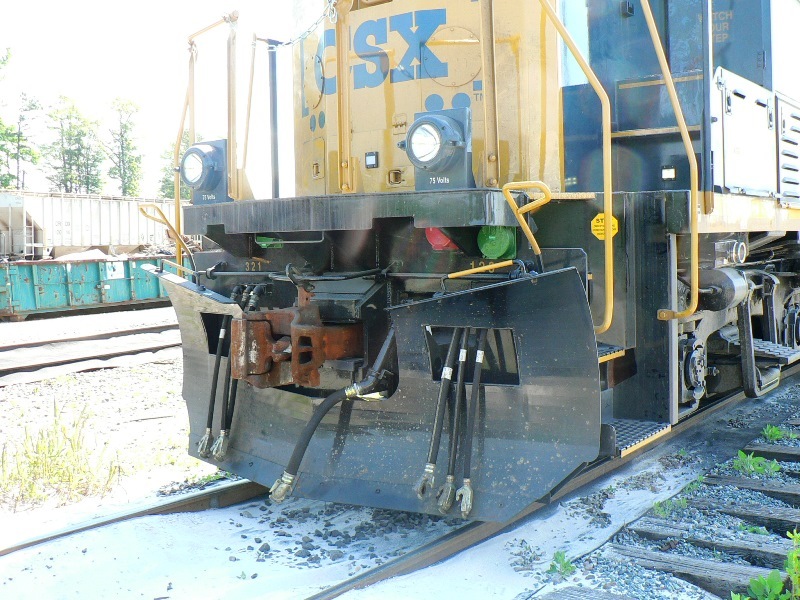 Leaser locomotives are being utilized to help alleviate the crunch short term but the long range solution is increasing the active number of four axle units through rebuild. The GP38-2 and GP40-2 locomotives have been venerable power for almost four decades. 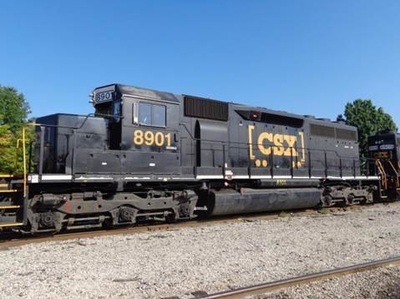 The fact that many are still in service speaks for the reliability of the models; they have paid for themselves multiple times over both in CSX paint and the respective predecessors from which they came. But they are long in tooth and numbers of them are out of service needing major overhauls. 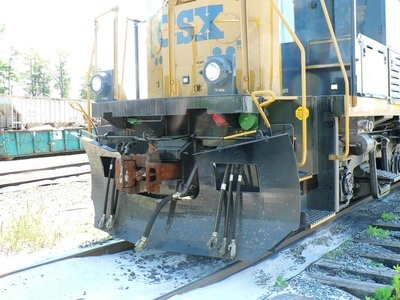 Of course, some have been converted to road slugs in years past although the GP30 and GP35 models are predominant in that category. Embarking on a program that is concurrent with the SD40-3 rebuilds, the GP38-2 and GP40-2 will receive the same treatment as its SD40-2 cousin in phases that began early 2014. 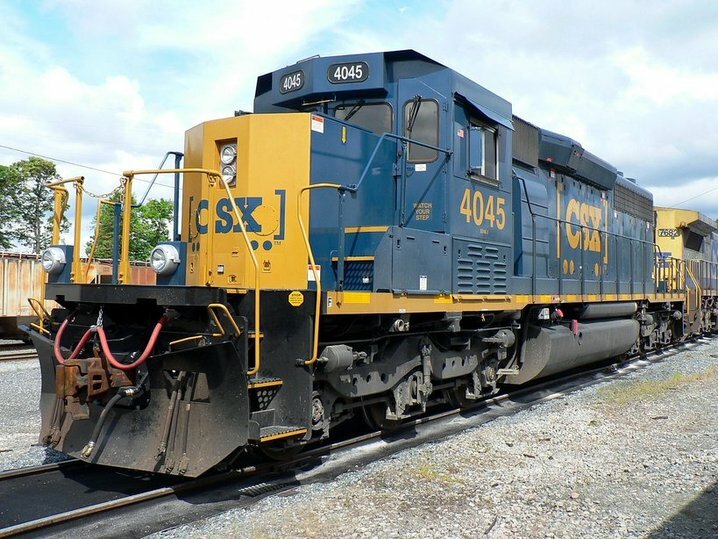 An ongoing goal that was planned for this page was the addition of subsequent GP38-3 and GP40-3 models as they would make appearances where accessible. 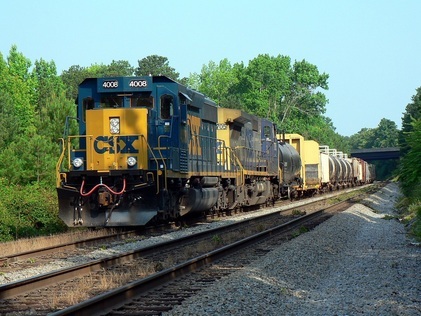 Unfortunately, CSXT operational changes in 2015---notably the closing of the Clinchfield as a through route---drastically affected this intent. 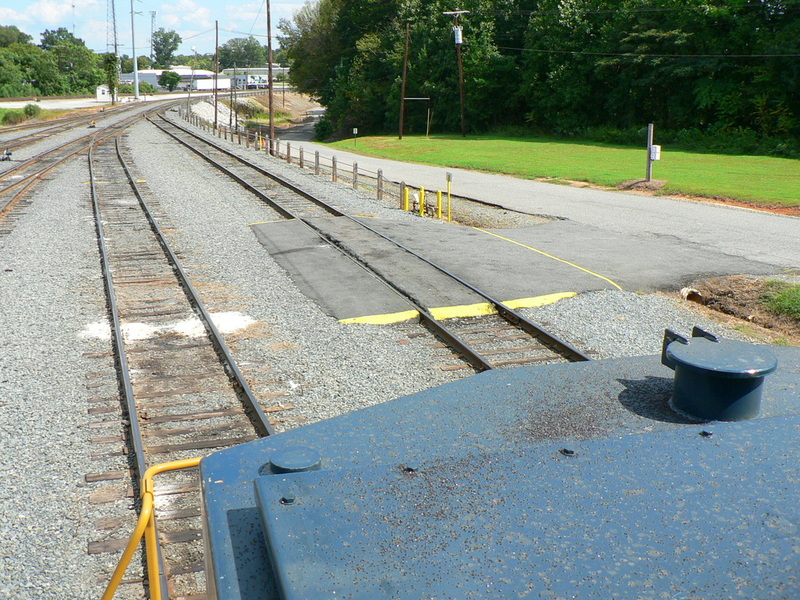 The Clinchfield was formerly the pipeline for the Dash-3 models from Huntington moving south of which frequently found assignment for Charlotte trains. 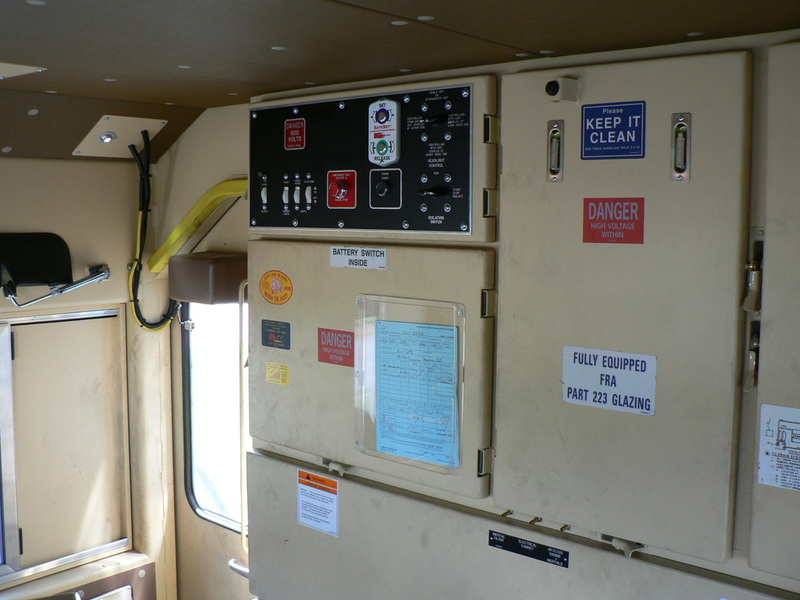 Since this is no longer in effect, the appearance of these rebuilds has diminished. 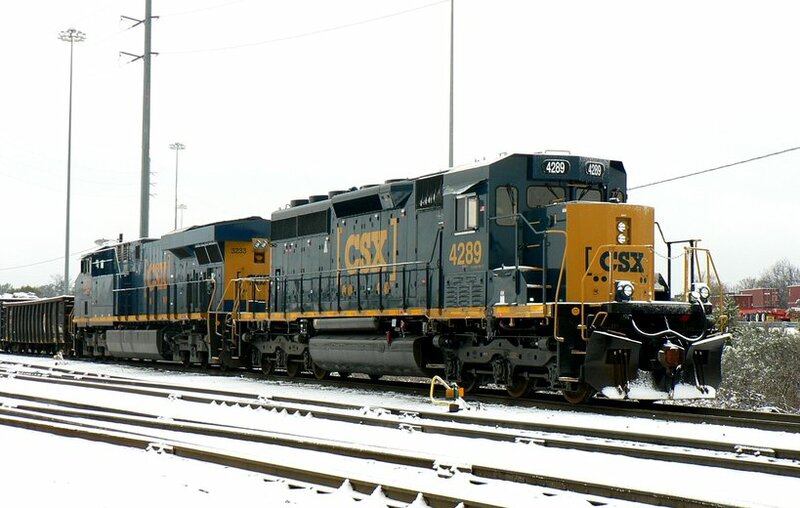 Winter 2014: First prototypes are built---GP38-3 #2000 and GP40-3 #6500. 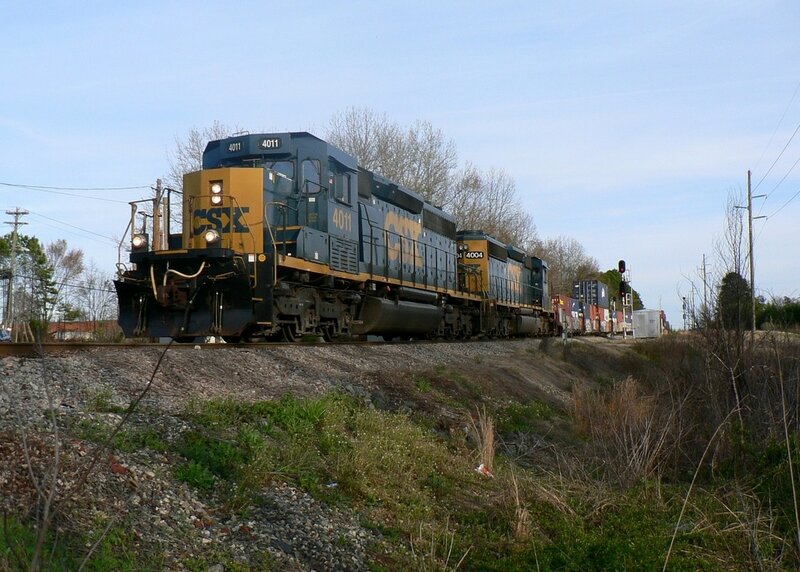 Tested in local service between Huntington and Russell, KY.
December 2014: As of this month, 19 GP38-3s (#2000-2018) and 11 GP40-3s (#6500-6510). 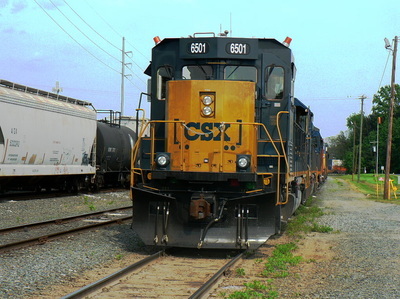 All are in either the Huntington, Louisville, or Nashville Divisions. 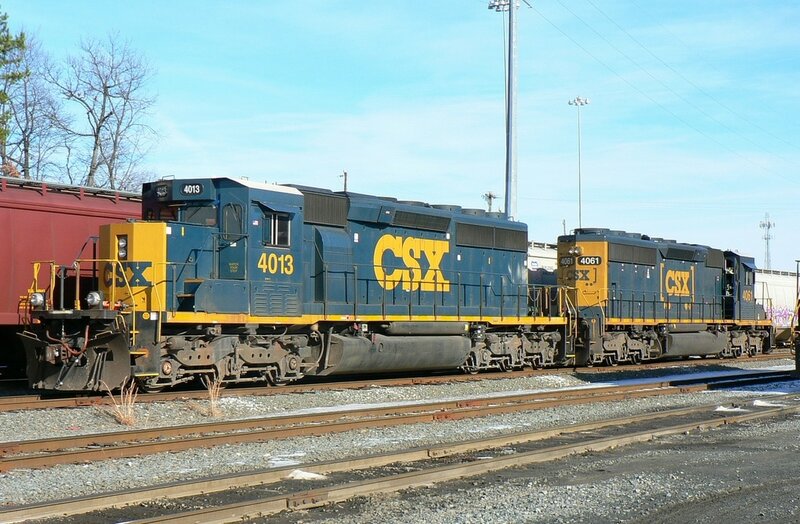 Spring 2015: Units--especially the GP40-3--began to migrate into other CSXT divisions. Several have moved into the Baltimore Division and in May, the Florence Division saw its first four axle rebuilds. Also equipped with QNX software, digital video recorder, ERAD, air conditioned cab, remote control capability but not active at this date. 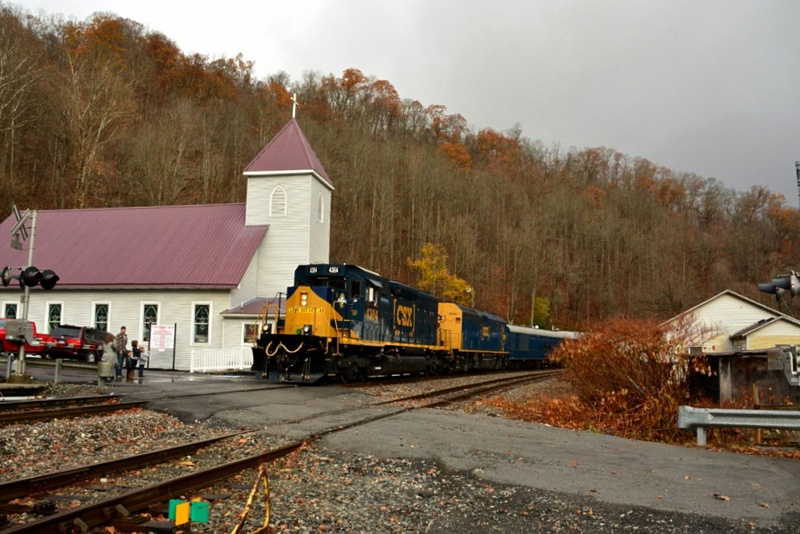 GP38-3 #2024 runs in the consist of an eastbound train at Garrett, PA in the fall of 2015. 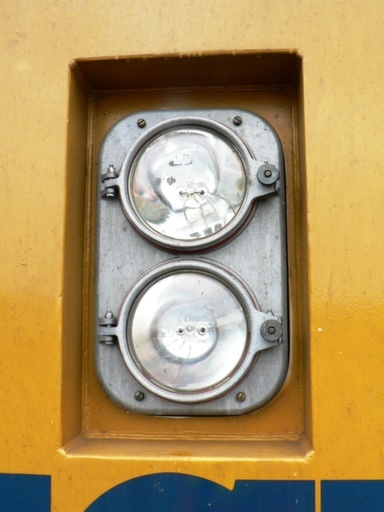 Image courtesy of Sholto Thomas. 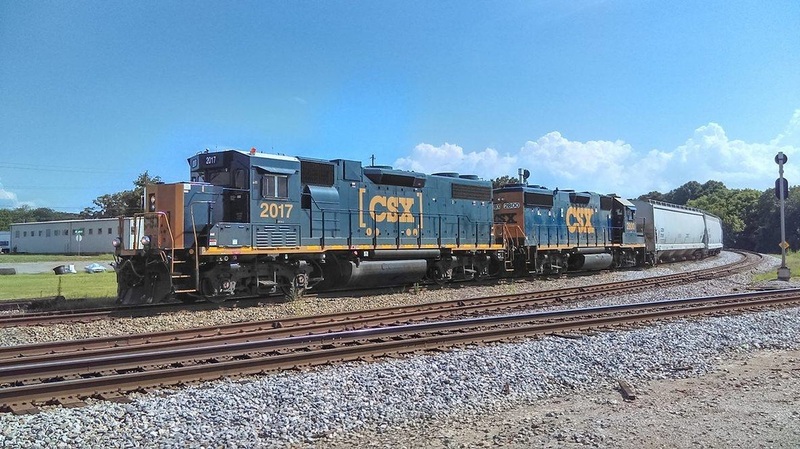 GP38-3 #2017 leads CSX local M781 at Decatur, AL en route to Lewisburg, TN during the summer of 2016. 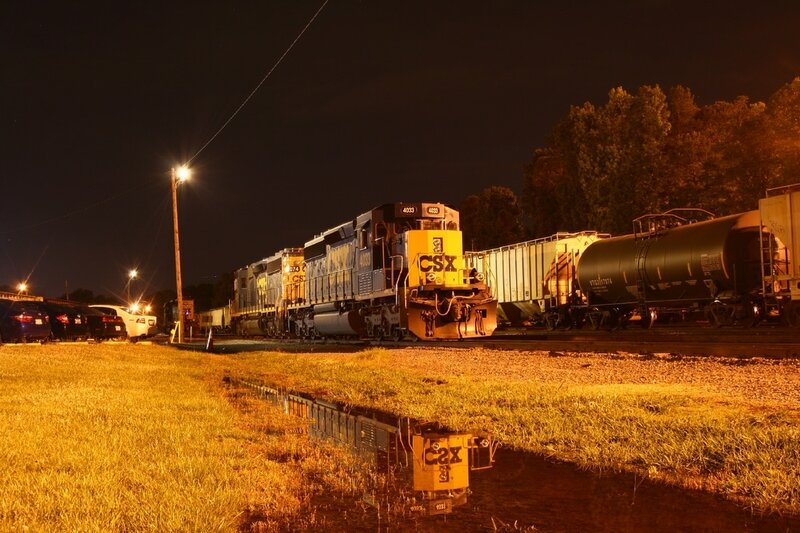 Image courtesy Noah Chappell. 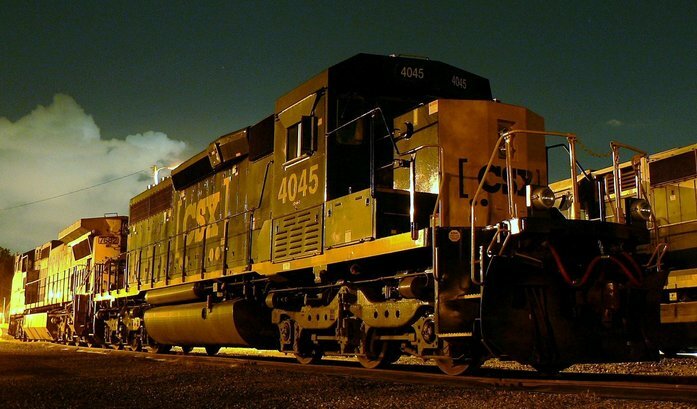 There appear to be no further additions to the GP38-3 or GP40-3 rosters since early last year. 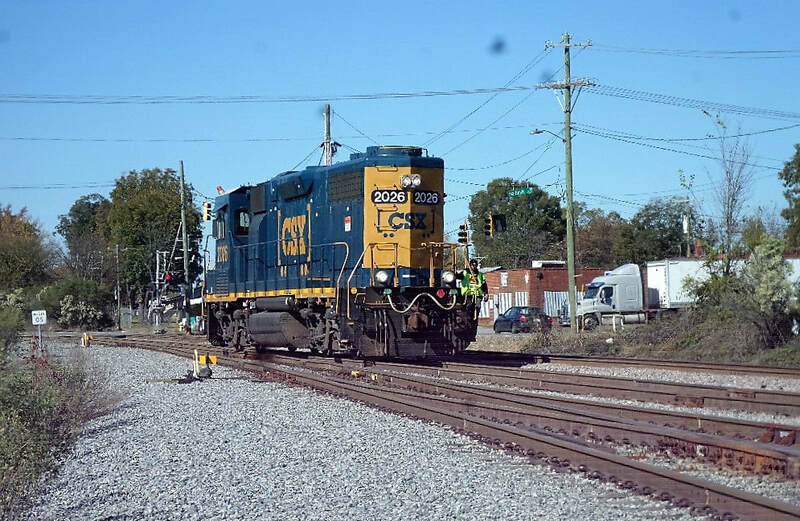 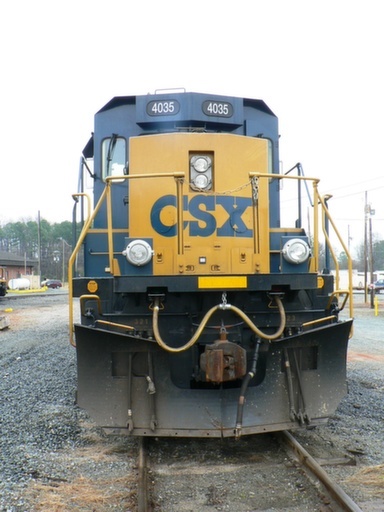 Considering the multitude of changes that have transpired in the past year at CSX--in this case, referencing locomotive rebuilds--it is no surprise that the program is idle. 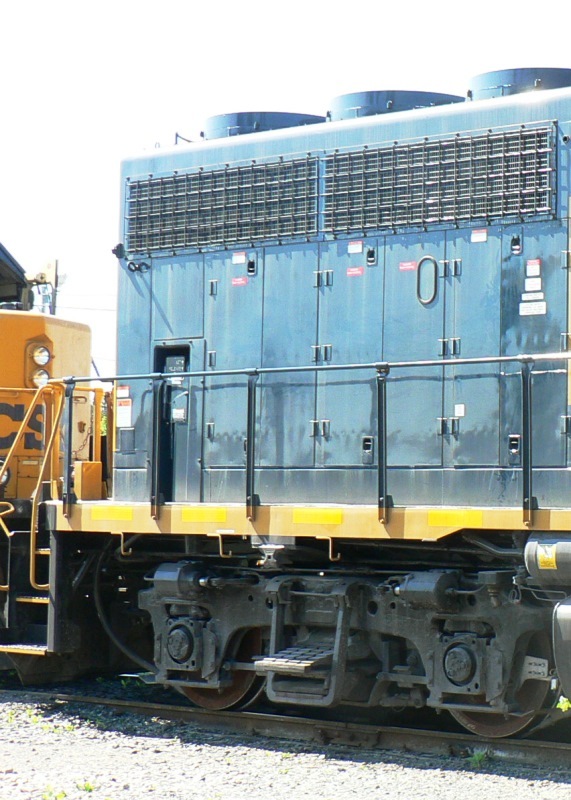 With the number of locomotives now placed in storage throughout the system, a continuance of rebuilds would be counter to the philosophy of the new management regime. 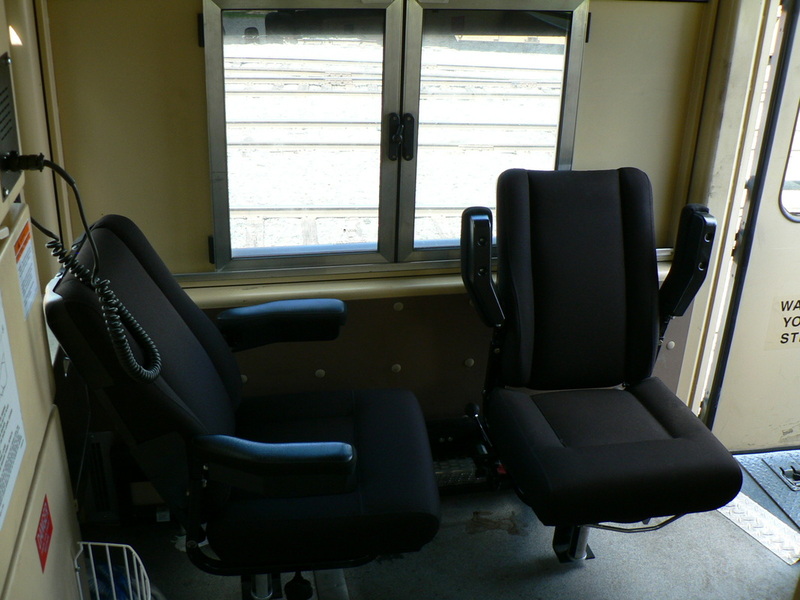 If there is a resumption of the program, this page will be updated. 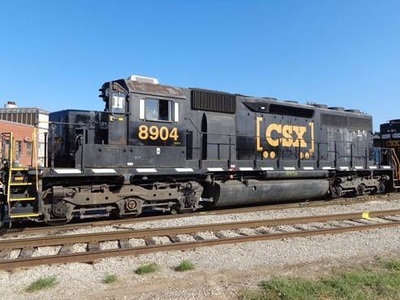 As these locomotive rebuild programs continue, I have received requests to include a roster of the models with the former lineages and numbers. For any interested, there are sites on the web that record locomotive ancestries. 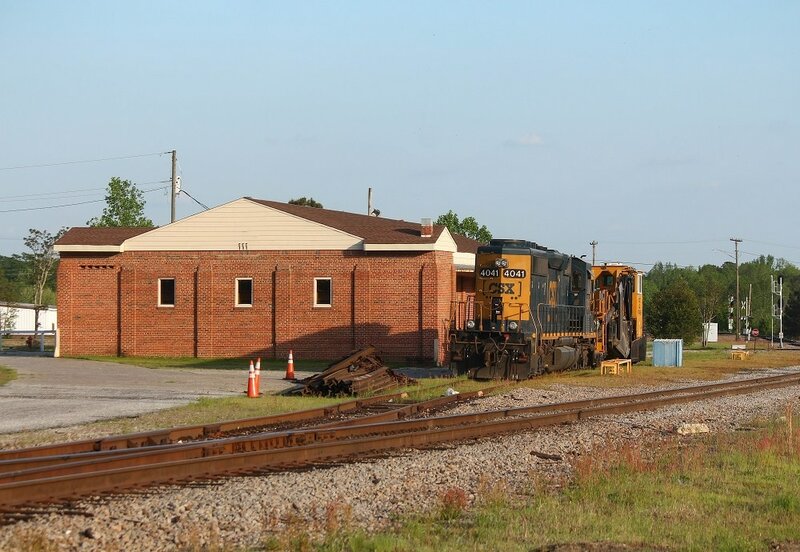 Two that I suggest are The Bull Sheet and The Diesel Shop. 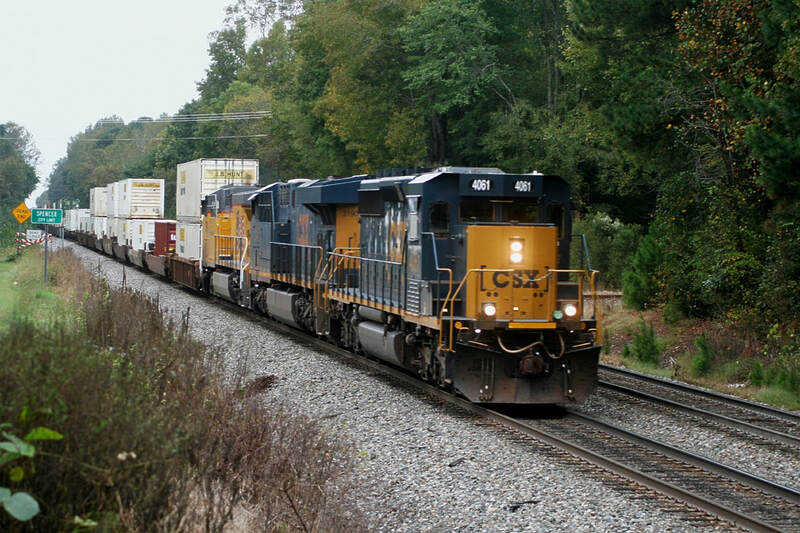 Both are typically prompt with updates.